To breed a Horse requires lot of efforts and attentions..
You need to keep into account the space where he will live and move around, he has to be fed properly, to be kept clean, he need to interact with other Horses and you must assure him to spend the necessary time open air. Our Ranch spread inside a natural sanctuary and it occupies a surface of 8 hectares. It is mainly sown with pasture where colts are left free usually till the age of 3years, after that we start to taim them. 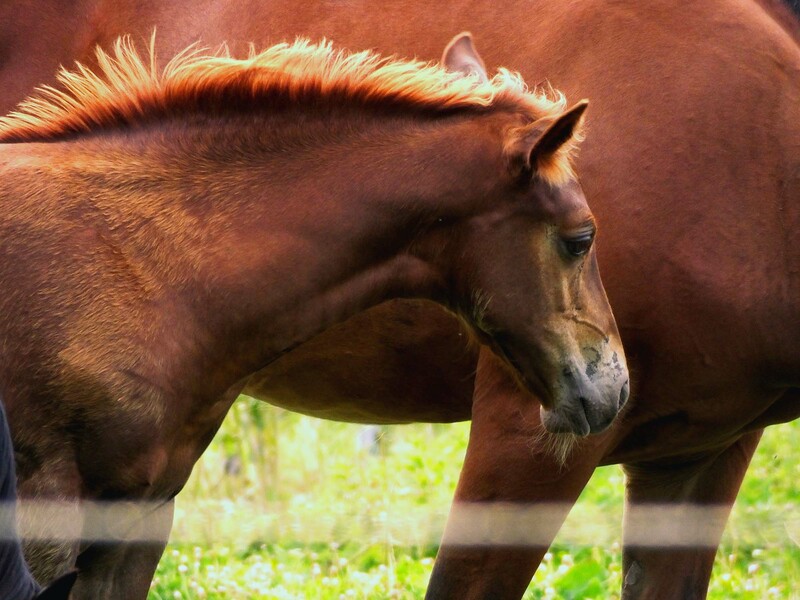 For the psycophysical health of the Horse it is fundamental to fed him with fresh grass especially the first few years of his life, this is period when the physical and psycological structure of the Horse develop at its most. 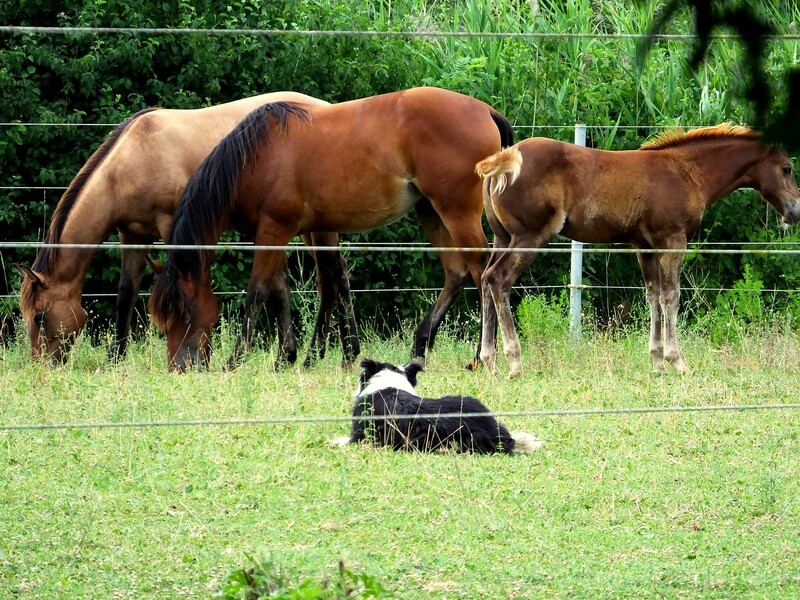 Our Ranch is specialized in the Breeding of Quarter Horses for Reining and Cow Horses. The Stallion is Peppy Senor that a part from having an IMPORTANT GENEALOGY ( Peppy San BadgerXLenas Senorita da Doc O'Lena) he also has characteristics that he transmit to his colts like a docile and balanced temper, attitude to work, physical and morphological structure. 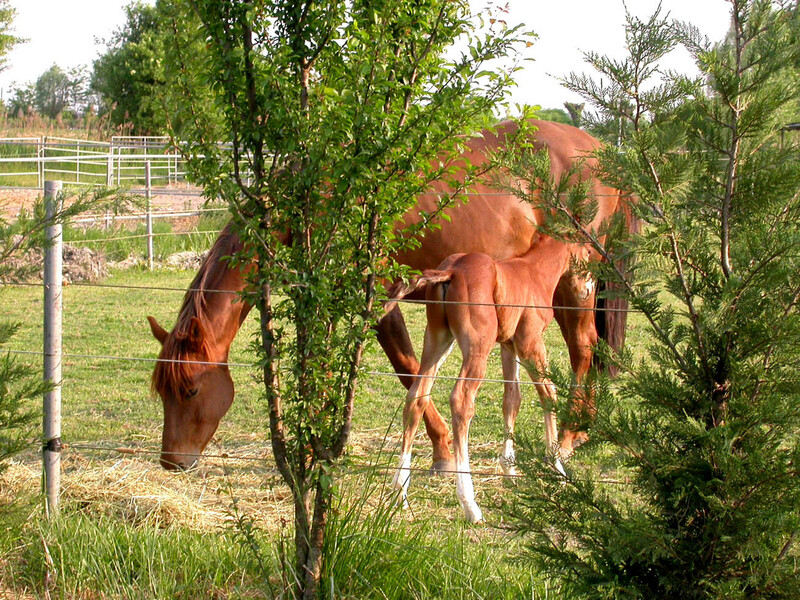 The Structures of our Ranch and our strong professional skill matured in more than 20 year experience are at disposal of anybody who wish to lets his mare spend the pregnancy free at pasture or breed his own colt in wide pasture fed with fresh grass, at open air and under the sun, to make sure it become a solid and strong horse. Pasture has an important function, not only as source of fresh grass, but also for the beneficial effects resulting from the voluntary physical exercise made by the animals in a so wide space. 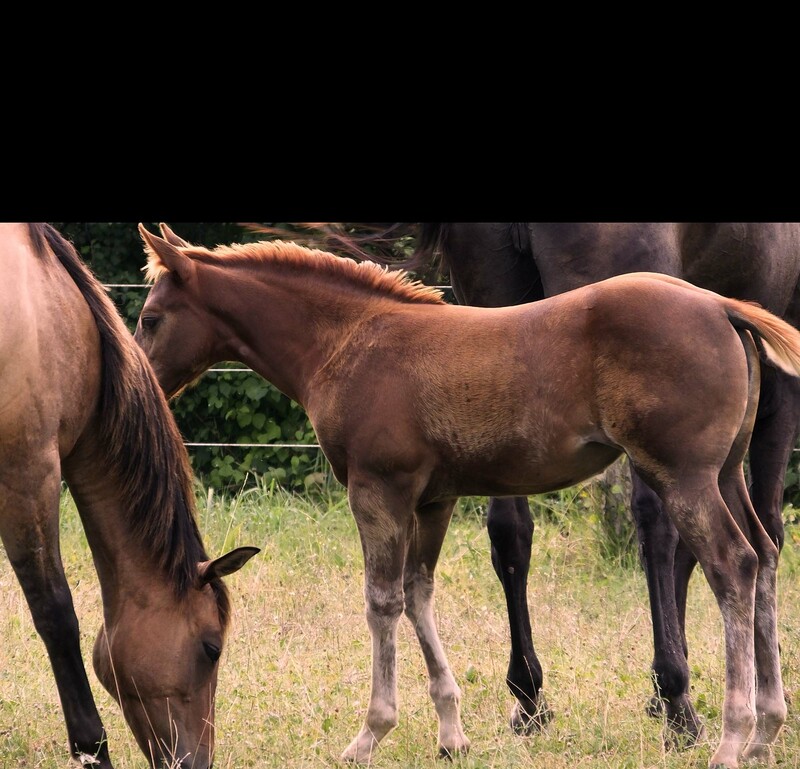 The effect is particularly relevant on colts and it is shown a sensitive reduction on growing animals of the risk to contract muscle-skeletal pathology, for example atalassia and Wobbler Sindrom. During voluntary exercise al the 5 senses of the horse are active: Eyes, placed laterally, assure him an almost 360° view and allow him to watch all round him. The hears are in continuous movement and they tap even the lightest noise; the nose, in case of danger, smells the air in search for signals; skin sensors are able to detect cold, warm, rain and sun. Horse is always on alert and ready to rush. Free exercise does not only help him to strengthen his legs, it also stimulates his whole organism, favouring a good digestion a regular breathing and stimulating metabolism. Not all the Vitamins are synthetized by the horse organism so they must be necessarily integrated through diet. Or must be introduced provitamins able to activate vitamins synthesis. Vitamins are utilized in the execution of some biochemical processes and their needs depends on nourishment minimal necessities. This needs may increase in particular conditions like athletical exercise, long riding or general stress. 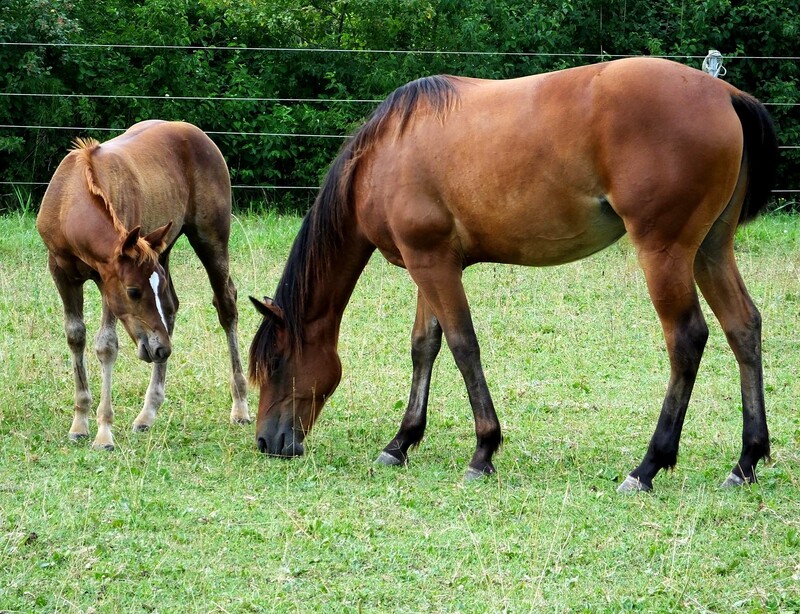 This is the reason why synthetic supplements do not have the same efficacy of a good pasture, horses at pasture are able to choose naturally and freely what to eat based on their needs. A and D Vitamin A and D Vitamin are generally present in all vegetables of red colour. We found them in carrots, clover, lucern and so on. These Vegetables contains carotenoids that act as provitamins. A vitamin in the organism has many biological functions that are mainly connected with the View and cellular differentiation, then it is also very much involved in the process of growth of the colt. D vitamin help the kidney to absorb calcium and the intestine to absorb phosphorus and calcium, in addition help the processes of mineralization of bones, it differentiate some cellular lines and it is involved in some neuro-muscles functions. A lack of this vitamin bring to an abnormal development of bones in young colts, muscle weakness, bones deformation and bones pain in the adults. Our facilities and buildings have been thought not only to be very functional but also to be easily kept in the best hygienic conditions and to reduce at minimum the risk of traumatic injury to which colts are often subjected. Felice Pasqua a tutti...dal 555 Ranch 5 days 3 hours ago.